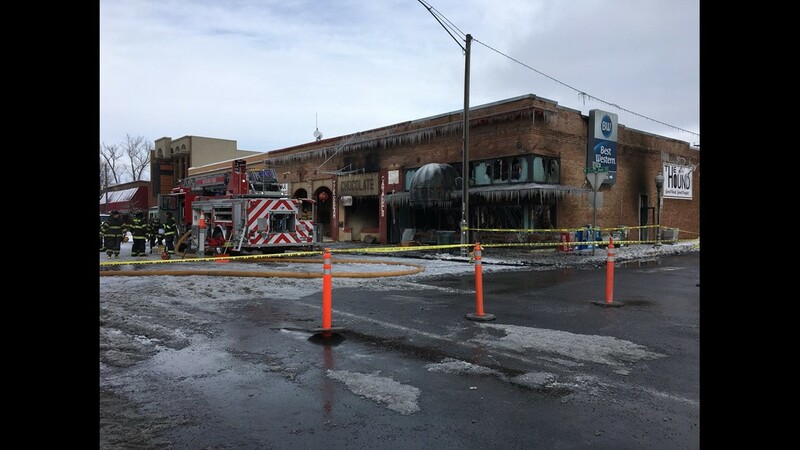 SANDPOINT, Idaho — Partial demolition of one of the buildings where two businesses were lost in a fire has already been completed, according to the City of Sandpoint. Other businesses in Idaho jumped in to support the Sandpoint businesses whose buildings were destroyed in a fire on N. First St. After the demolition was completed Bridge St. reopened to two-way traffic. 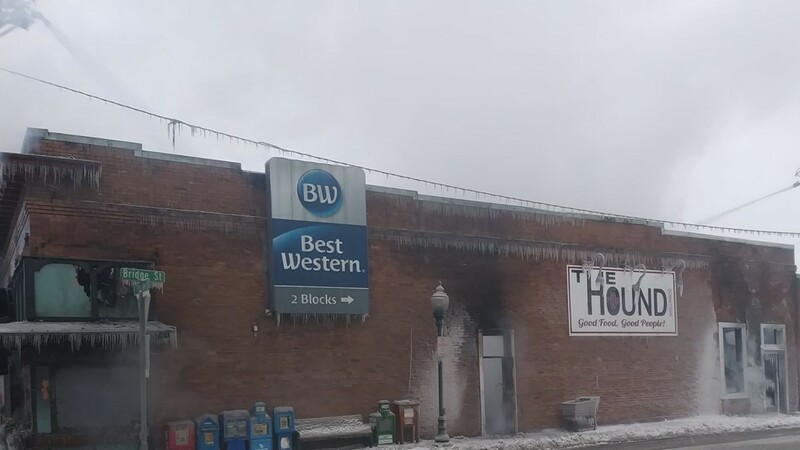 The fire, which broke out early Monday morning and impacted three buildings on the corner of First and Bridge streets, caused between $4 and $7 million in damage on Monday, according to a city spokesperson. Partial demolition of the south wall of the fire damaged building at 202 N First has been completed and Bridge Street will reopen to two-way traffic this evening. The fire started sometimes before 1 a.m. Monday. Two buildings were lost to the fire and have been condemned by city officials because they pose a public safety risk. 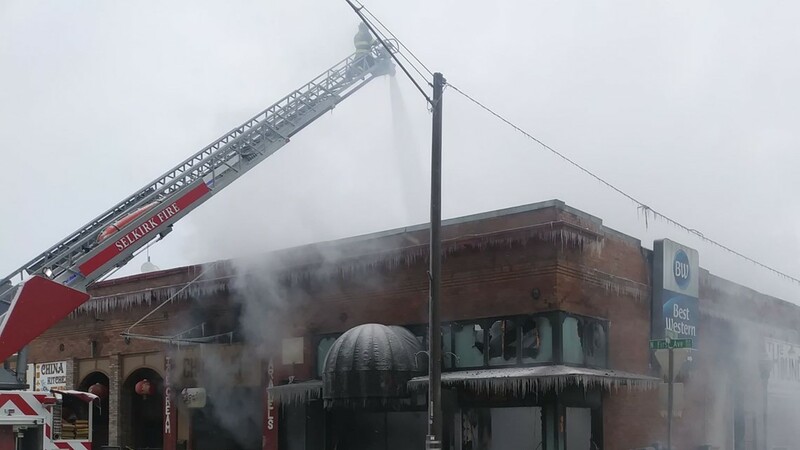 City leaders said these buildings held four active businesses: The Hound Pizza, Headlines Salon, Sandpoint Chocolate Bear and Sandpoint Tattoo & Body Piercing. 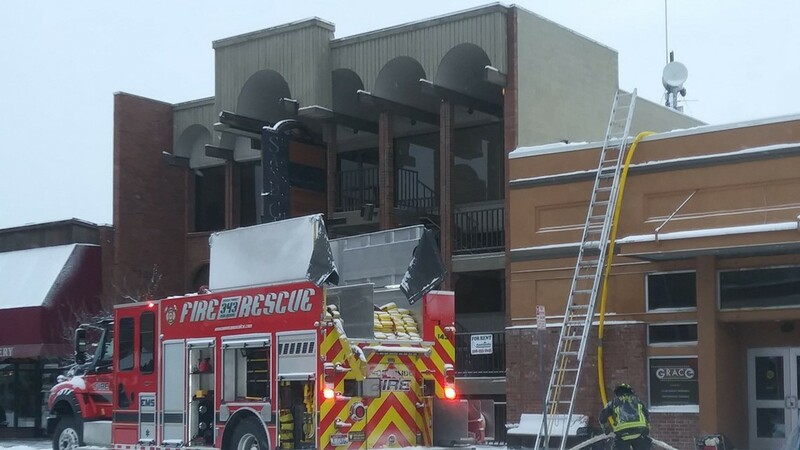 A third building sustained significant smoke and water damage, city leaders said. This has led to the temporary closure of Grace Sandpoint and Grace Sandpoint Bible College. The Greater Sandpoint Chamber of Commerce posted a message from Kim Bond at Headlines Salon on Facebook. 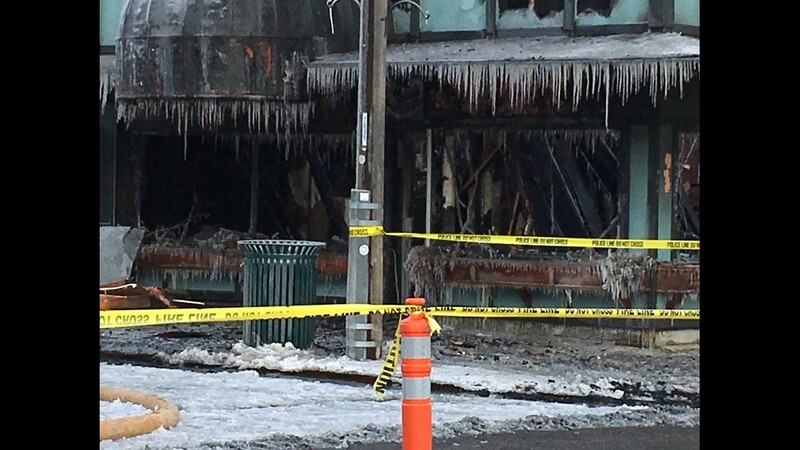 "Dear clients and friends, as many of you know the building Headlines was lost in a fire last night. Thank you so much for all of your love, thoughts, prayers and messages during this sad time. You have buoyed my spirits! I am re-locating to Highlands Day Spa (1315 HWY 2 suite 5, Sandpoint) starting Friday the 15th of February. They have been so helpful and welcoming and they have a beautiful space. I am retaining my same phone number and hope to see you soon.... please call for an appointment. Love to you all!!" the Facebook message reads. Close to $6,000 worth of Bond's equipment was destroyed, leaving her with not only a place to cut hair, but no tools to do it. Christopher Kalinowski is part owner of Highlands Day Spa and Salon, which is also in Sandpoint. When he got word of the fire and saw the images of the burnt down business, his heart sank. Folks at Highlands reached out to Bond and less than 24 hours after the fire, they offered her a spot in their salon where she could work. "When you see somebody, you can look at them and see your own struggles - and add on a fire and losing everything... We wanted to help people we care about," Kalinowski said. Bond said around half a dozen other salons reached out too, offering help or equipment she could use. This weekend, she will start working at Highlands. She's grateful for that and her loyal customers. "And just a great heartwarming feeling of realizing that even horrible things like this can be overcome with the support of people that you love. And even people that you didn't know, cared. Which has been really great," she said. Slate Creek Brewing Co. in Coeur d'Alene is also donating all proceeds from its anniversary party on Mar. 1 to The Hound Pizza. There will be food, live music a silent auction and a $5 cover charge for non-members. "Our intention is to show support and love to our friends in Sandpoint. Please extend this invitation and help us give back March 1st," Slate Creek Brewing Co. wrote on Facebook. A YouTube video from S.E.R. Safety shows the fire as it happened Monday morning. The Idaho State Fire Marshal and the ATF are now investigating the fire. 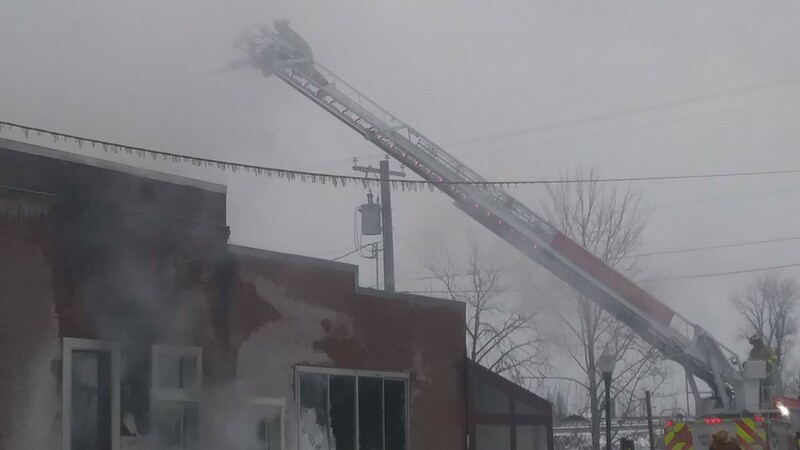 No one was injured in the fire and a cause has not yet been determined, according to Selkirk Fire Chief Ron Stocking. There were no signs of any people inside of the building at the time of the fire. First Avenue will remain closed between Pine Street and Main at least until Tuesday, according to officials. Flaggers are on scene and will assist drivers needing access to the Best Western Edgewater Hotel, Trinity at City Beach and the Seasons Condos. Cars leaving these businesses and headed west on Bridge Street will need to use Gunning’s Alley to access First as the north lane directly adjacent to the fire on Bridge Street will remain closed. 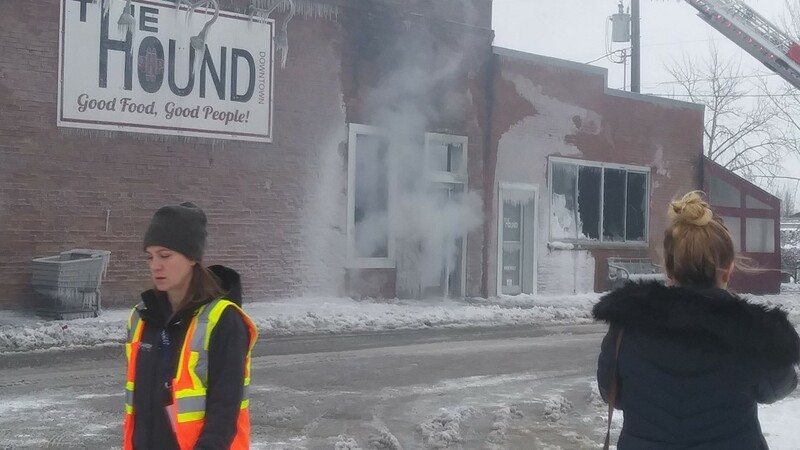 The parking area on the east side of Gunning’s alley is closed in order to help with snow removal and utility work related to the fire, officials said. 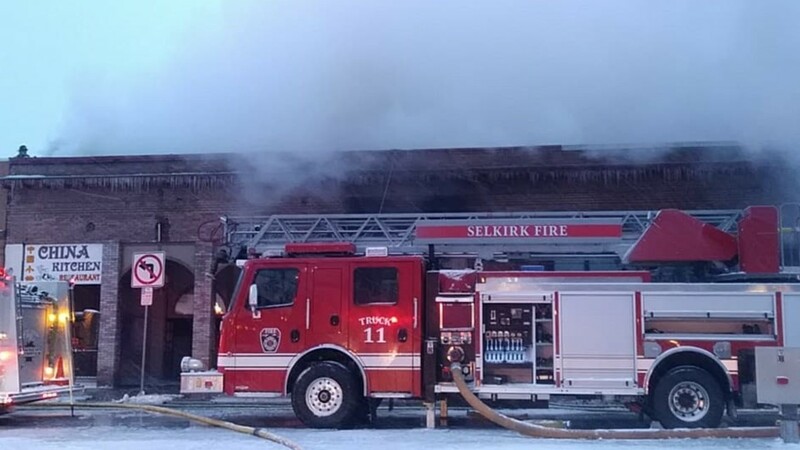 Stapleton said Selkirk Fire personnel and equipment from all stations responded to the fire. Fire agencies throughout Bonner County and north Kootenai County were called in to help fight the fire as well. In all, 40 firefighters, five chiefs, twelve engines, two trucks and two rescue vehicles were on scene, city officials said. 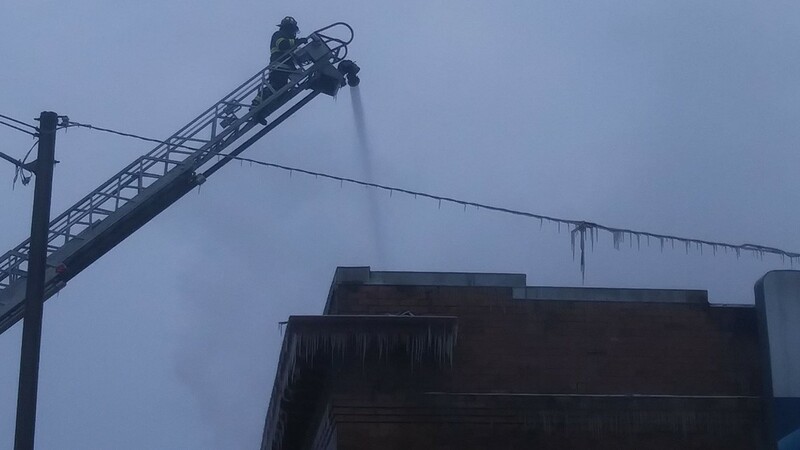 Crews battled the fire during snowy conditions and temperatures in the teens. “This is devastating for our small local businesses – not only the businesses impacted but some of the businesses in the surrounding area," Stapleton said during a press conference on Monday morning. 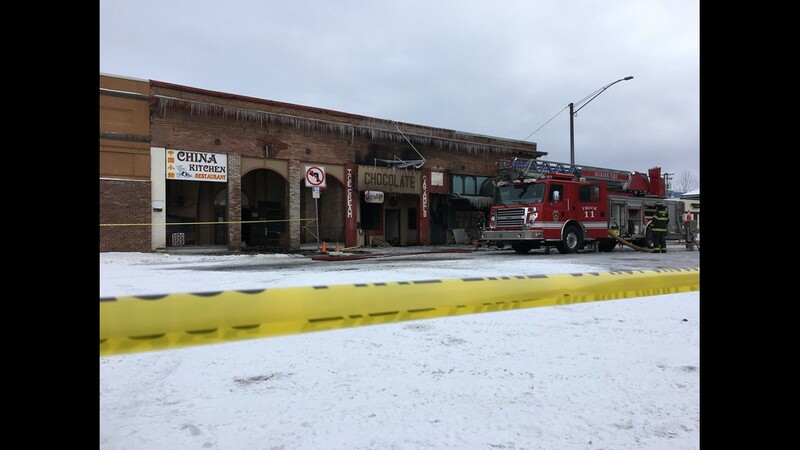 Dennis Powell, the owner and operator of Sandpoint Chocolate Bear and the Chocolate Apothecary in Spokane, said his daughter texted him photos of the fire around 6 a.m. on Monday. "It's a tragedy but it's a rebirth. You know, things happen and you start all over again. That's all," Powell said. Powell also thanked firefighters for their work in the cold. KREM photojournalist Ian Loe contributed to this report.